Director Claude Lanzmann poses at the 70th Cannes Film Festival. Photo: Reuters / Jean-Paul Pelissier / File. 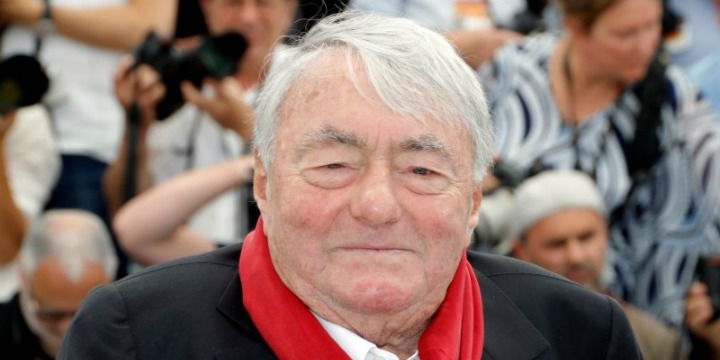 French filmmaker, writer and commentator Claude Lanzmann, best known for his searing documentary film “Shoah,” a nine-and-a-half-hour oral history of the Holocaust, has died in Paris at the age of 92, his publishers Gallimard said on Thursday. In the mid-1970s, he started working on an oral history of the Holocaust, conducting a mass of interviews with survivors, perpetrators and witnesses to the murder of six million Jews by the Nazis. In all he spent 11 years making “Shoah,” the Hebrew word for the Holocaust, which was released in 1985. While more than nine hours in length, the film met with wide critical acclaim and was shown in cinemas and on television. Much of the raw footage and transcripts of interviews are held at the US Holocaust Memorial museum in Washington, DC. In 2009, he published his autobiography, The Patagonian Hare, which traces his youth, the impact of Nazism on his life and touches on his relationship with Simone de Beauvoir, who during their time together was also with Sartre.